Products of KELITONG factory showed on the 121st Canton Fair - PhaseⅠ, from 15th - 19th, April. 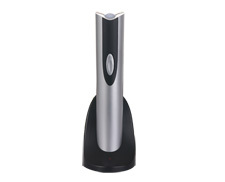 We have displayed many new models of our electric wine openers , such as tally function stainless steel electric wine opener, recharging electric wine opener with battery power indicator, wine bottle shape electric corkscrew etc. 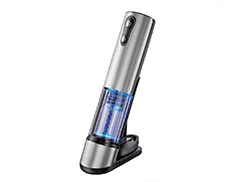 And we also displayed our another series product of home and car portable vacuum cleaner, electric tie rack and electric BBQ brush. 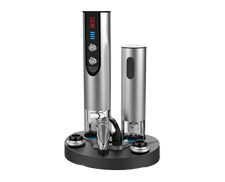 Kelitong company which is the first chinese factory that developed and marketed electric wine opener to global market.Welcome to our Canton Fair booth. KLT Cooperates with Hai Di Lao Hot Pot which is the first hot pot brand in China.